One of Carel Weeber's first high-profile housing projects is this group of social housing blocks on both sides of Voorhaven. 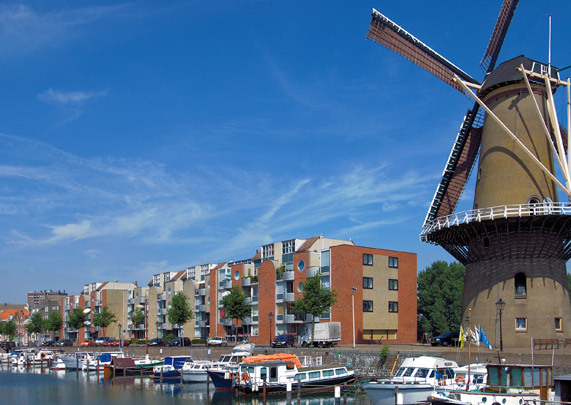 The proposed new-build unleashed a storm of protest by a Delfshaven preservation group, who themselves provided an alternative straight out of an Anton Pieck painting. Weeber sought to deviate from the then prevalent urban renewal practices presided over by advocacy planning. He avoided sloping roofs where possible, giving his dwellings abstract, decorative round forms and cheerful colours, which regrettably went missing during a renovation.